6 inner plies of Birch unite with 14 outer plies of Maple for a staggeringly thick 20 ply shell. The 45 degree bearing edge brings all 20 plies to the party in a highly focused sweet spot. This projects the volume that you would expect from such a thick shell without losing sensitivity or articulation. 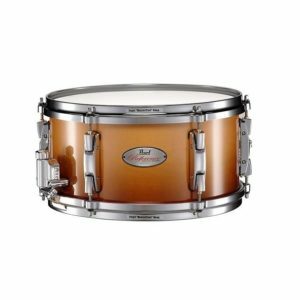 The state-of-the-art in modern hardware adorns these snares to maximize every nuance of the shell construction. Featuring the best preselected custom options from Pearl’s Masterworks realm, Reference Series drums are hand-crafted for the ultimate in optimum in high volume pro drum performance. Reference Series Snare Drums feature a staggeringly thick 20-ply blended Maple (14) Birch (6) shell, for focused volume and power with no loss in sensitivity or articulation. 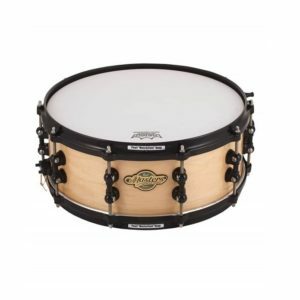 Projects powerful, focused attack and high volume with sensitive, articulate snare tone.